This epic Aussie travel package brings together our fantastic Absolute Oz Jobs programme with our 5-week East Coast tour from Sydney to Cairns. You’ll kick off with a week of orientation activities in Sydney, including a dolphin encounter and a beach camp escape. Then, you’ll journey up the incredible East Coast, taking in all the hottest destinations, including Byron Bay, Fraser Island, and the Whitsundays. You’ll round off the adventure with a snorkelling trip at the Great Barrier Reef in Cairns. Then it’s time to find your dream Aussie job! Enjoy 12 months’ expert job support and get set up with everything you need to find work, including a bank account, tax number, and Aussie SIM card. This is the ultimate way to travel and work in Australia! 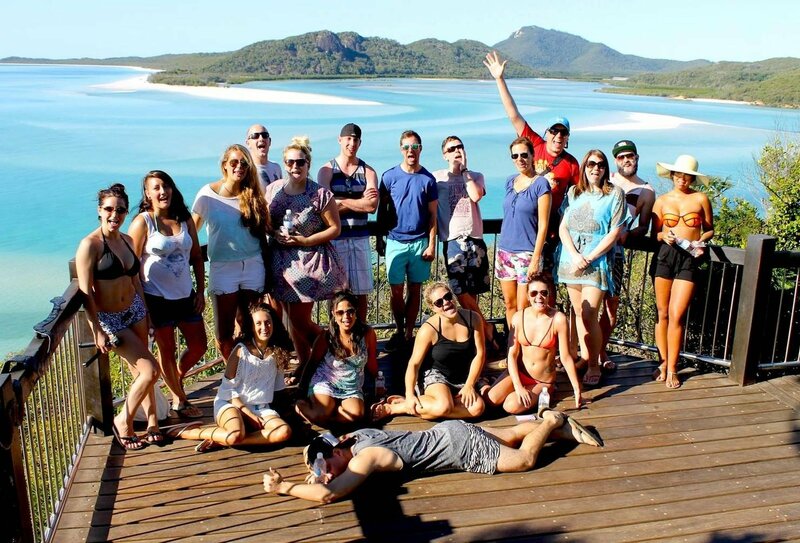 Enjoy an epic 2 night cruise around the Whitsundays, plus a 2 night camping adventure on Fraser Island! Get set up with everything you need to find work in Oz, including a bank account, tax number, and 12 months’ job support! Get a buddy list before you travel so you can start making friends before you go! G'day Mate, get up close with Australia's most famous animal! Buddy list – get in touch with others in your group before you leave the UK! Your Aussie experience begins with a week of activities in and around Sydney. You’ll then spend 5 weeks journeying up the East Coast to Cairns, before getting stuck into the job search and setting up your new working life in Australia! Settle into life Down under with an entire week in Sydney to let your hair down and have some fun. Explore the city on a guided tour and cruise around the famous harbour, chill out on Sydney's best beaches and get to know people in the sun. You’ll then spend 3 days relaxing in the great outdoors at a laid-back beach camp. Enjoy a bottlenose dolphin-spotting boat trip, go on a 4x4 sand dune adventure and try sandboarding. It’s the perfect way to get your adventure off to a great start! 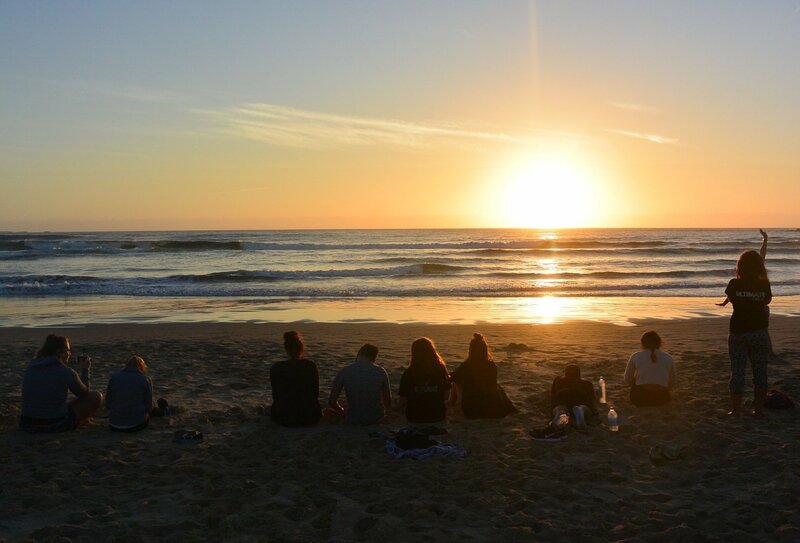 Once your Absolute Oz Jobs week is over, you’ll board an overnight bus to Byron Bay, signalling the start of an epic 5 week adventure up Australia’s East Coast! Discover beautiful beaches, unspoilt islands and buzzing backpacker destinations on this awesome guided group trip. 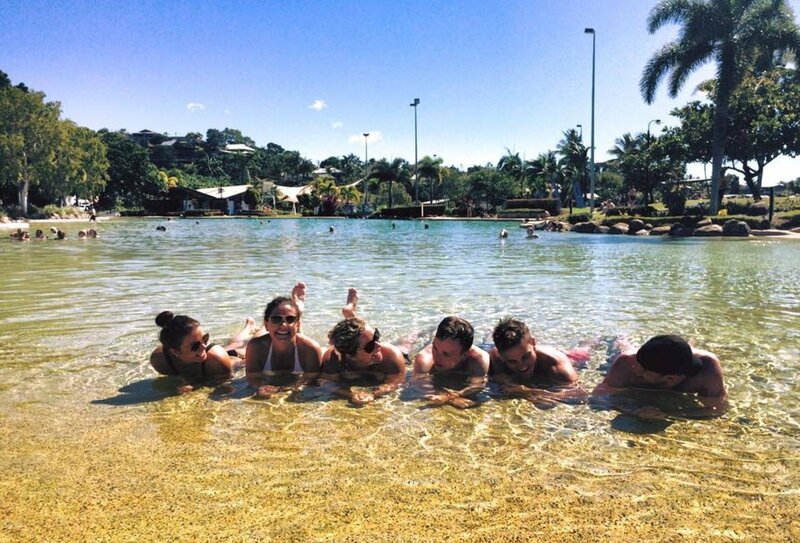 After 3 days in Byron Bay (during which time you’ll enjoy a surf lesson, beach yoga and a wine and cheese night! ), you’ll journey north to Surfers Paradise and Brisbane, for city tours and beach bliss. Then, you’ll venture into the lush landscapes of Noosa for a coastal walk and epic sunset. 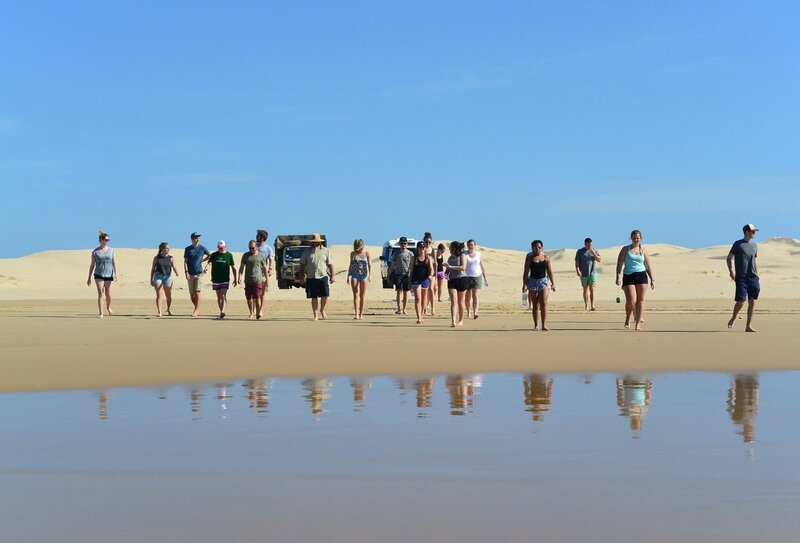 Next up, you’ll discover the epic landscapes of Rainbow Beach and spend 2 nights camping on beautiful Fraser Island! 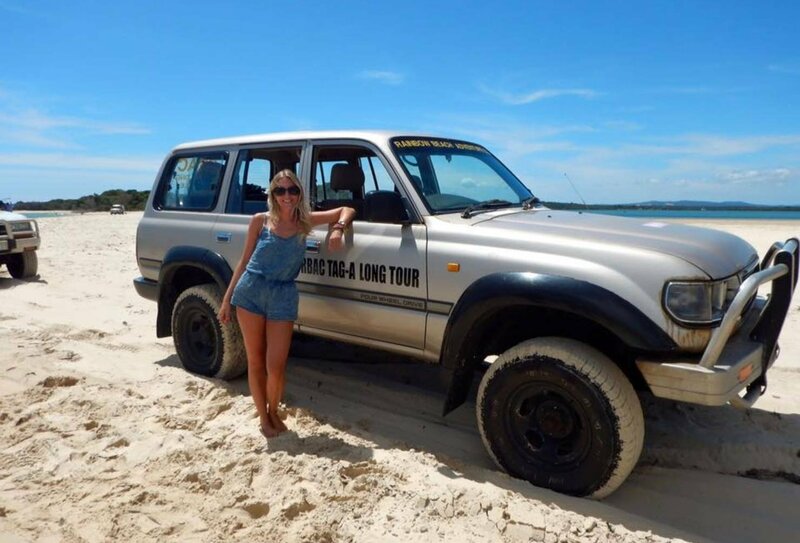 After your Fraser Island 4x4 and camping adventure, you’ll chill out in the Town of 1770, before boarding an unforgettable 2-night Whitsundays Cruise. 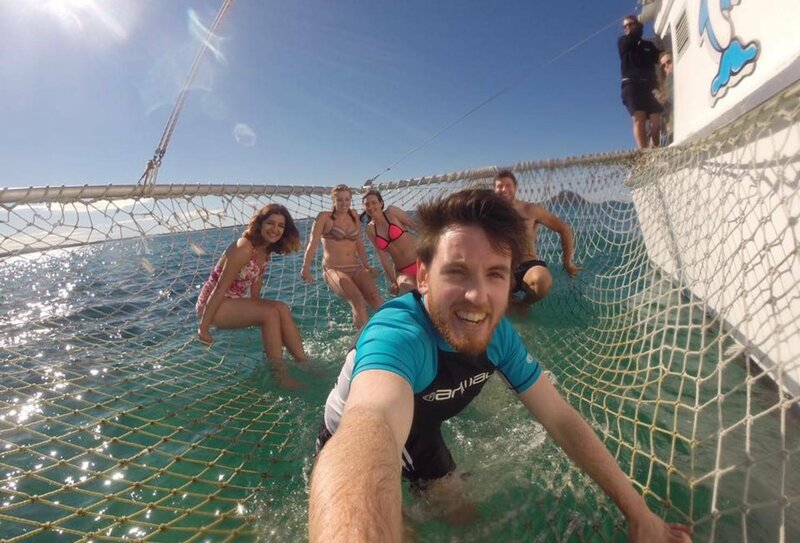 The last 10 days of your adventure see you encountering wildlife on Magnetic Island and sunbathing on Mission Beach, before arriving in Cairns, Australia’s ultimate backpacker destination. Here, you’ll enjoy a full day excursion to the dramatic Atherton Tablelands, plus a snorkelling boat trip to the Great Barrier Reef! Once your East Coast tour is complete, it’s time to find work. You’ll have all the resources you need to find a great job and full support to get you set up for life in Australia. You’ll have full access to an exclusive jobs database and a team of experts helping you with your awesome adventure. 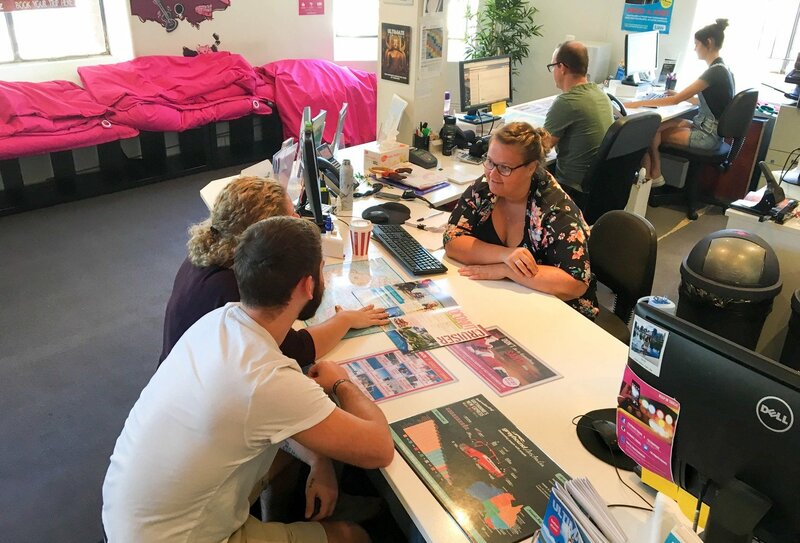 Whether you need help getting your next job, need some advice on accommodation, or want a recommendation for the best bars in town – our expert jobs team is on hand for it all! For more detailed itinerary information, please download the trip notes. You should fly into Sydney on day 1 of your itinerary. You will need to go to a pre-set meeting point at Sydney airport to catch the shuttle bus that’ll take you directly to your hostel to begin your first week of fun and adventure. If you want to arrive a few days earlier, we will be more than happy to help you organise any additional accommodation (at extra cost). Please contact us for further details. Your East Coast Tour finishes in Cairns. You can either look for work here or travel somewhere else. There are job opportunities all over Australia! 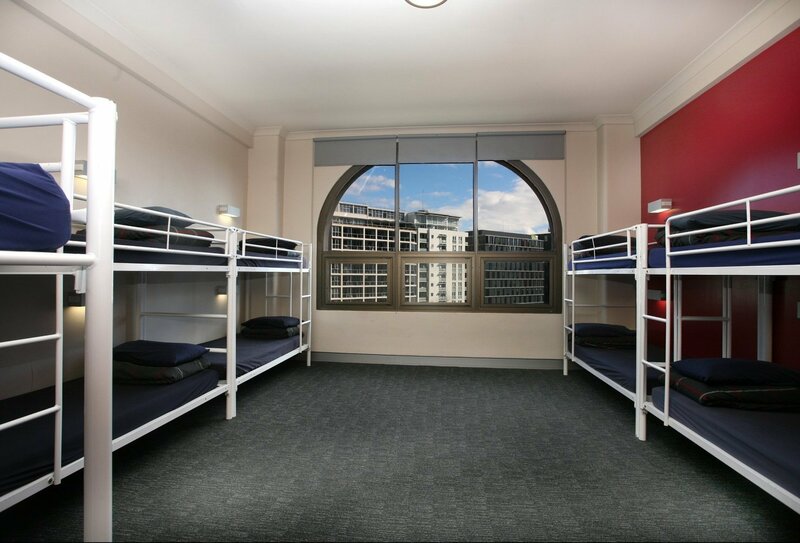 43 nights of accommodation are included in Sydney and on the East Coast. 2 nights of this will be spent on overnight buses. 2 nights will be spent on a live-aboard yacht and 2 nights will be spent camping on Fraser Island. 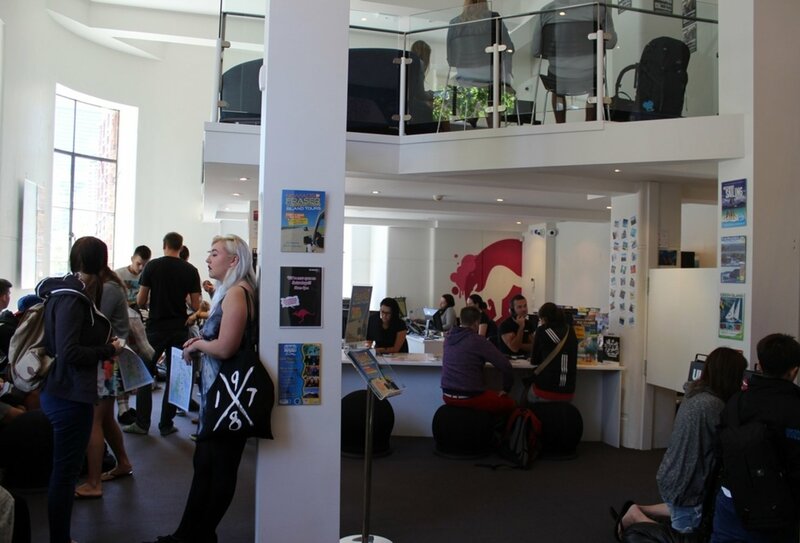 The rest of the time you will stay in mixed dorm accommodation in hostels. After the East Coast tour, most of our travellers choose to either rent an apartment, often sharing with the new friends they’ve made in the first week, or stay in hostels. Most hostels offer discounted rates for long term stays. Our team will help you explore possible accommodation options in Australia. Some meals are included as part of your tour itinerary. You will need to purchase the majority of meals yourself. 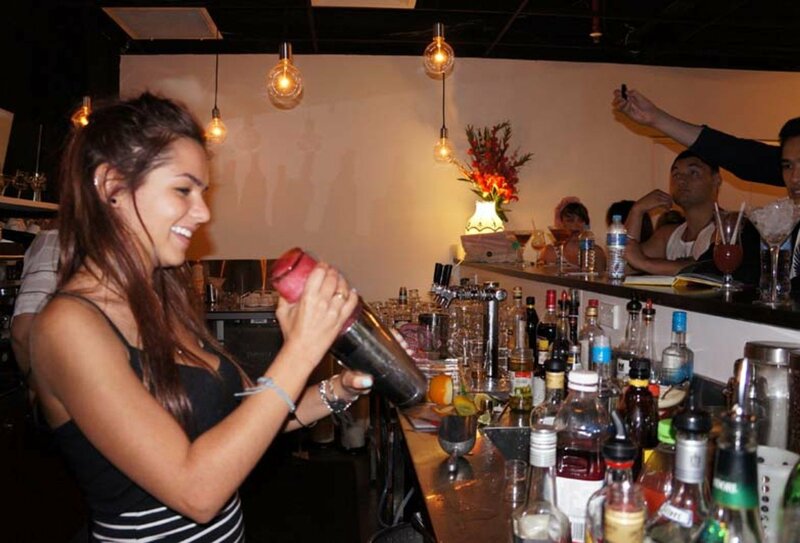 Each stop will have a great range of restaurants and backpacker bars where you can find tasty meals. Alternatively, you could prepare meals in the hostel kitchens. Preparing your own meals is a great way to save money. We recommend budgeting around AUD30-50 per day for food and drink. As you are planning to work in Australia whilst you’re here, you’ll need to apply for a Working Holiday Visa.